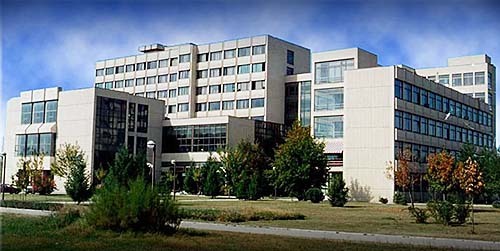 Location of the 14th International Conference on Applied Electromagnetics – ПЕС 2019 will be University of Niš, Faculty of Electronic Engineering – ELFAK. To help you get around the Faculty of Electronic Engineering of Niš during the ПЕС 2019 Conference we have prepared a detailed floor plan of two faculty floors of interest for ПЕС 2019 participants. Opening ceremony will take place at Session Room A (Floor M1). The Registration desk is near the Session Room A and will be opened every day from 9 a.m. to 11 a.m.
All Oral Sessions will take place in the Session Room A and Poster Session in the Session Room B. Coffee breaks will be served in front of the Faculty restaurant located next to the Session Room A (Floor M1). Lunches will be served at the Faculty restaurant located next to the Session Room A (Floor M1).